The United States is in danger. Prohibited drugs and other dangerous substances are easily accessible to our youth – and many have tried them. 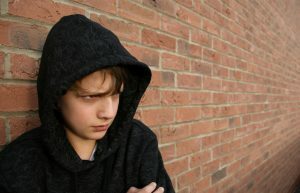 Some teenagers become addicted to these prohibited substances and now face wide-reaching problems which affect the teen, their parents and society at large. Thankfully, mental health professionals have devised effective teen drug rehab programs. But even with these developments, there are not too many rehab centers for teenagers. It may be difficult for you to find appropriate treatment if your kid is plagued with this problem. His House offers an accessible and successful program for teens who need addiction treatment. You need to know how rehab for young in a drug rehabilitation facility means. What will your son be up to after his admission? Firstly, you need to understand that drug rehabilitation for young adults is different from adult treatment. Teenagers have specific psychiatric and developmental needs, life circumstances, and personal values. Therefore, adolescent addiction treatment must be designed for their age and their needs. Most teens will need outpatient treatment, but those with challenging home lives and complications will require residential treatment. The therapeutic approach of most rehab programs for young adults is to have an intensive, home-based treatment. It is called Multi-Systemic Therapy (MST), and requires the involvement of your whole family. This therapy model considers the whole scope of an adolescent patient’s life, not just his immediate drug-related problems. Detoxification – the process by which your son or daughter’s body will be purged of drug- or alcohol-related toxins. This will be done through drug abstinence and by undergoing the detoxification process. Medication – the patient is prescribed certain age-appropriate medications to treat his addiction. Evaluation and follow up treatment – to correct the patient’s other related mental health issues like anxiety or depression. Long term follow-up – this is done to prevent the patient from relapsing. Addiction treatment has shown positive results in many cases. The patient’s family members are called in for full and continuous support to help achieve those results. There is a range of care and customized young adult drug rehab programs, including follow-up options which are vital to the success of the initial treatment process. But all these will amount to nothing if the patient’s family and support group are not on the same page. With the right support and continuous follow up, a teenager in addiction recovery has a greater chance of living his life as normal as possible without turning back to his drug-crazed lifestyle.